"The response to the fin world-wide has been beyond my expectations," says The Greek. We should be in full production of the 9.5" Turbo Tunnel within the next five to six weeks. The fins will be ready to ship in November just in time for Christmas." The 9.5" is $59.95 each plus California sales tax and $5.00 shipping. To order, simply call us at 714 960-6672 or drop a check in the mail to Surf Incorporated P.O Box 69, Huntington Beach, CA 92648. 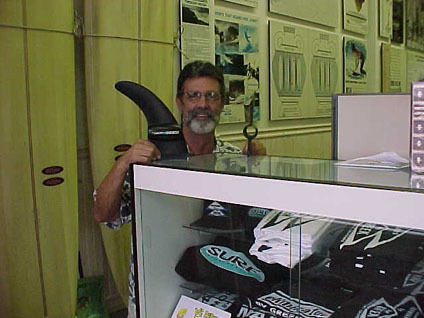 In addition look for our 1/2 page ad in Longboard Mag.. "Our first run will only be 1,000 fins so if you want one get your order in early," says The Greek.